Anyway I did this a while ago and decided it would be very apt to call this as a basic recipe to follow for a chocolate cake. 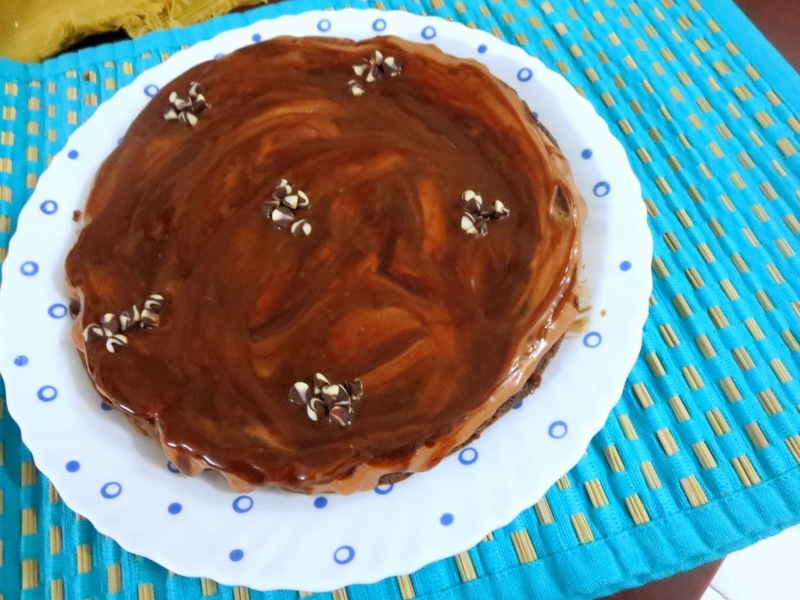 Infact I also use another version that uses condensed milk with aerated cola, which was my basic chocolate recipe. It's been a while since I used that. When I checked if I had shared this recipe, I was surprised that I hadn't and so thought I make it for evening snack for the kids. 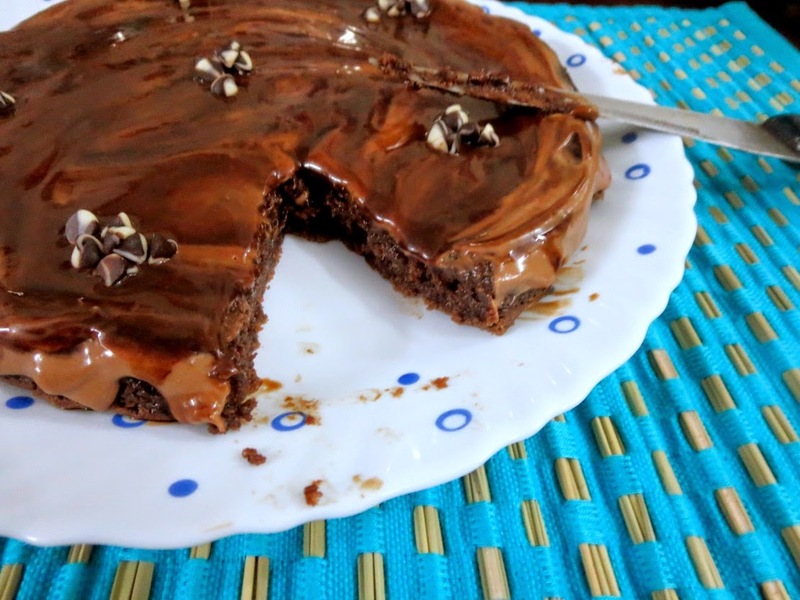 With the number chocolate recipes on this blog, it obviously shows what my kids love the best. It went a notch up, when Athamma asked for extra cake to be ordered for Konda's birthday. She said she was going crazy thinking what to give the kids during evening times. And she thought that boys would love to dig in chocolate cake. Since my nephew and niece were with us, I asked Hubby dear to get more, not realizing that they don't like chocolate cake. So imagine the masti the kids had with nobody else to share. I was supposed to make a chocolate cake myself but as I was already making so many other dishes, I couldn't. Then it was parents anniversary and decided I would make an eggless cake. I didn't stop to think they might want another flavour. I made chocolate cake by default. It was a three layer ganache stuffed MW 3 minute cake. I even did a design with gems. Well going by my skills at designing a cake, I know I can't say much, for all the artist I am supposed to be! Anyway parents loved the cake and that's what mattered. They had got a store bought cake as well, which had three layers with chocolate icing. Peddu loved it and asked if that cake was baked by Amma. When I said no, he asked if I had made it. When I said it was store bought, he replied it was fantastic. Then after a moment, he looked at me and said it was as good as mine was! Well my boy can sweet talk for sure. And Chinnu gave me a sloppy kiss with cake and all! My day was surely made! 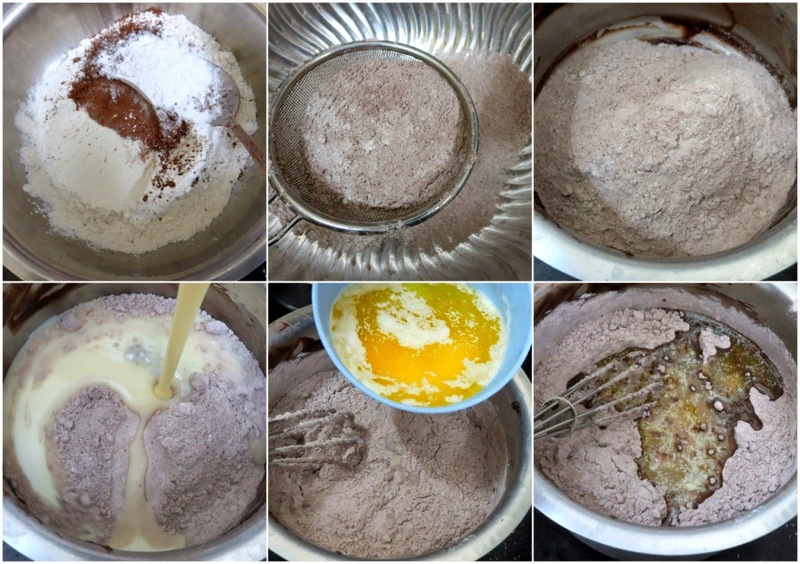 Gently whisk or spoon until the mixture comes together and there are no lumps. Make sure you don't whisk too hard.